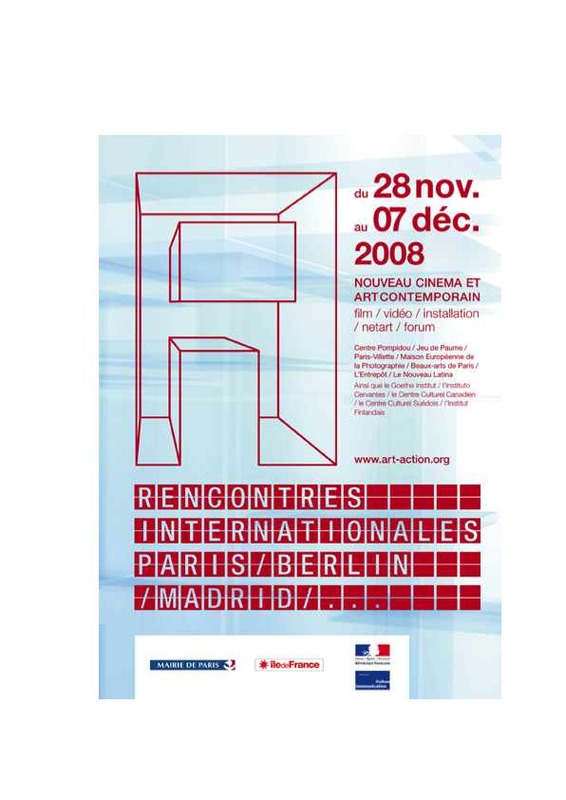 "I'm a New York Based Artist" (2007) will be screened at the Centre Pompidou Cinema 1 on November 28 at 8 pm, during the opening of the Rencontres Internationales Paris/Berlin/Madrid along with works by Enrique Ramirez, Manon de Boer, Christoph Girardet, Erik Moskowitz and Amanda Trager, Philippe Terrier-Hermann, Vasco Araujo, Manual Saiz, William Wegman, and Vincente Blanco. "I'm a New York Based Artist" will screened again during the festival — which will run through December 7 — at L'Entrepôt, Paris, on December 3 at 8 pm. “"I'm a New York Based Artist" in the Rencontres Internationales Paris/Berlin/Madrid at the Centre Pompidou and l'Entrepôt in Paris,” Pierre Yves Clouin, accessed April 23, 2019, http://pierreyvesclouin.fr/items/show/308.